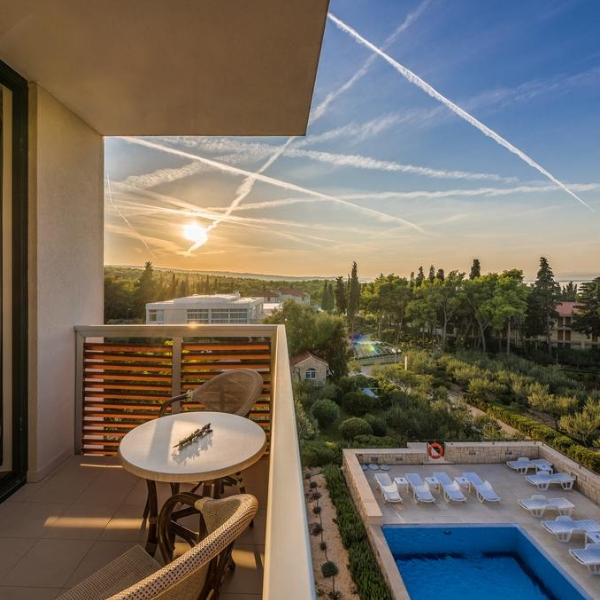 Book your luxury holiday in Croatia at Hotel Amor Supetar, a 4 star property offering stylishly modern and luxuriously comfortable accommodation. 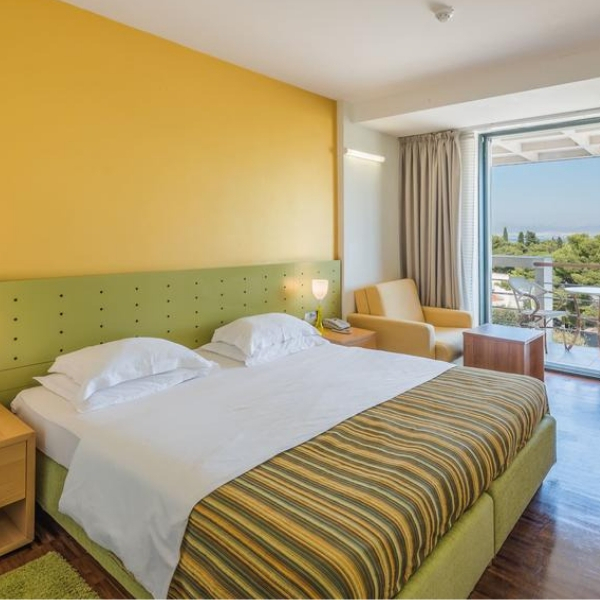 The hotel is situated in the tranquil bay of Vela Luka, within easy reach of Supetar. 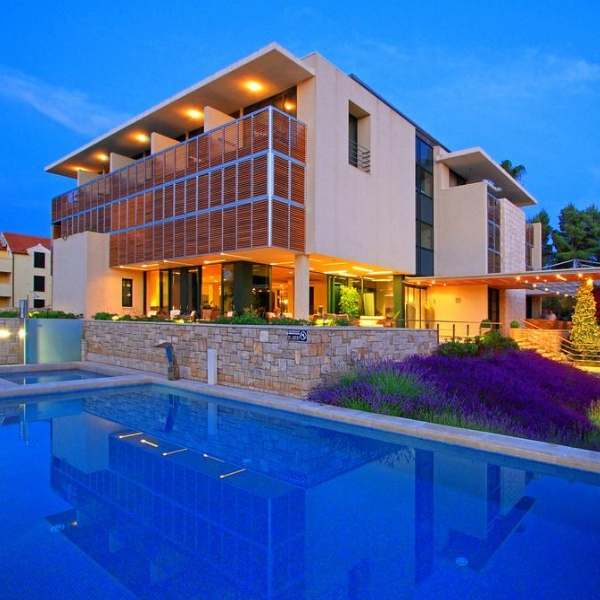 Hotel Amor Supetar is a luxury 4 star resort that offers exceptional service, superior comfort and an excellent range of on-site facilities and amenities. All guest rooms and suites are fully air conditioned and furnished in a stylish contemporary manner. 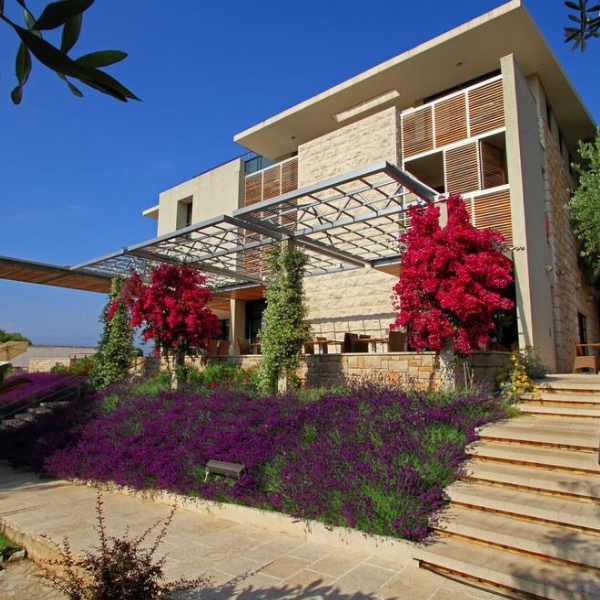 The hotel is part of the Velaris resort and is situated in a beautiful peaceful bay, with access to a pebble beach with beautifully clear water. The local produce guests can enjoy in the on-site restaurant is grown in the neighbouring fields and delivered fresh to your plate. 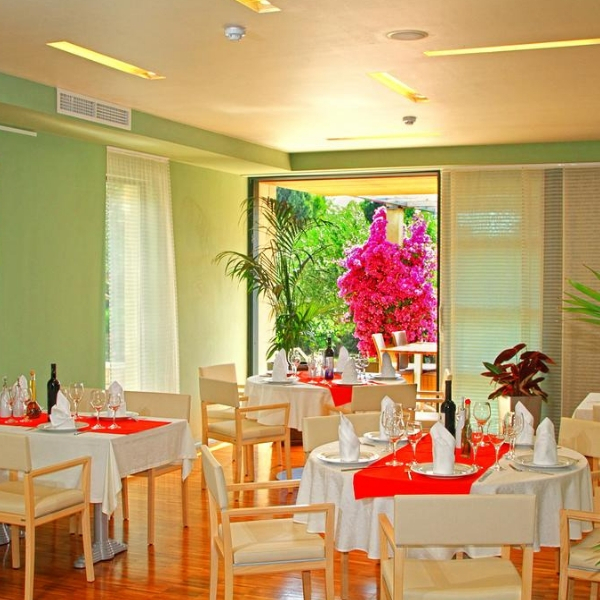 The restaurant serves traditional Dalmation cuisine and international dishes. There is also a cocktail terrace where you can relax will a refreshing drink. 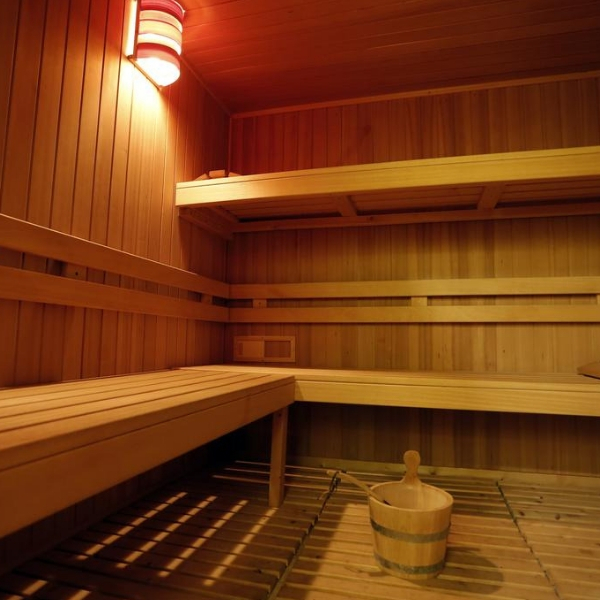 On-site there is a well-equipped fitness gym, outdoor pool, sauna, jacuzzi and wellness centre, offering a range of relaxing massage and beauty treatments. Kayaking, water skiing and windsurfing are also available for guests who are keen to enjoy a range of water sports on their holiday to Croatia.